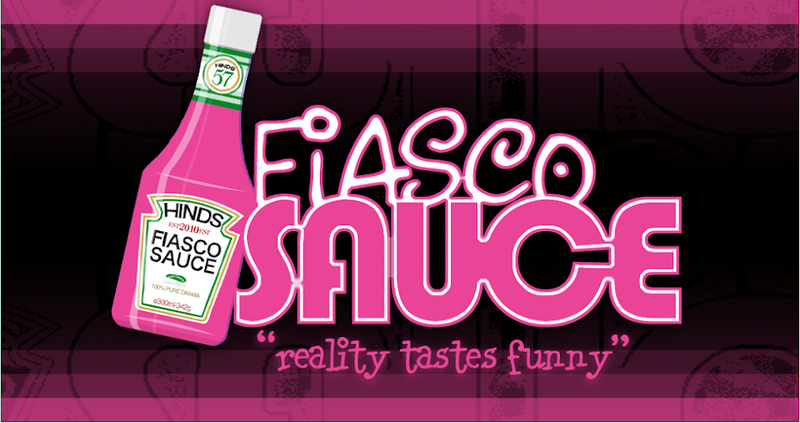 Fiasco Sauce: Jersey Shore/Cabs Are Here! Wow, talk about a meltdown! Sammi and Ronnie finally reach an all out, fever-pitched screaming fight from hell in this episode over WHO KNOWS WHAT. I don't. They keep fighting because Sammi keeps wanting to talk about the pain Ronnie put her through in Miami. I am sorry for that. Ronnie is sorry for that. All the viewers are sorry for that. There's nobody in the free world that's isn't sorry for that. However, Sammi can't get over it. I'm not sure what she wants from Ronnie, but he obviously is unable to give it to her. So they break up. They are both planning evenings out with their friends. However, Sammi can't let it go, and wants to know what Ronnie will do if a girl talks to him. He reminds her that they are broken up. Thus, a fight. Ronnie reacts the only way a juicehead knows how ... he starts throwing stuff, tearing apart her bed, and just generally making a mess. The rest of the Jersey Shore gang have to break the two apart before something gets hurt, besides everyone's feelings, and everyone continues the march to the local club for some fun? partying? spitefulness? Sammi decides to get back at Ronnie by dancing with another guy at the club. Ronnie, for some reason, doesn't like it. But, they are broke up. However, who cares in crazyville? So, Ronnie again reacts appropriately. He goes home and destroys all of Sammi's things including her glasses. When she comes home, she's not happy. She finally makes a smart decision to leave the Jersey Shore house and go home and heal. This is a toxic environment for her ... and for him. And for everyone. I'm even sick.